The compact building form was designed as a self-contained, ring-shaped body with a logical conclusion at all property boundaries. 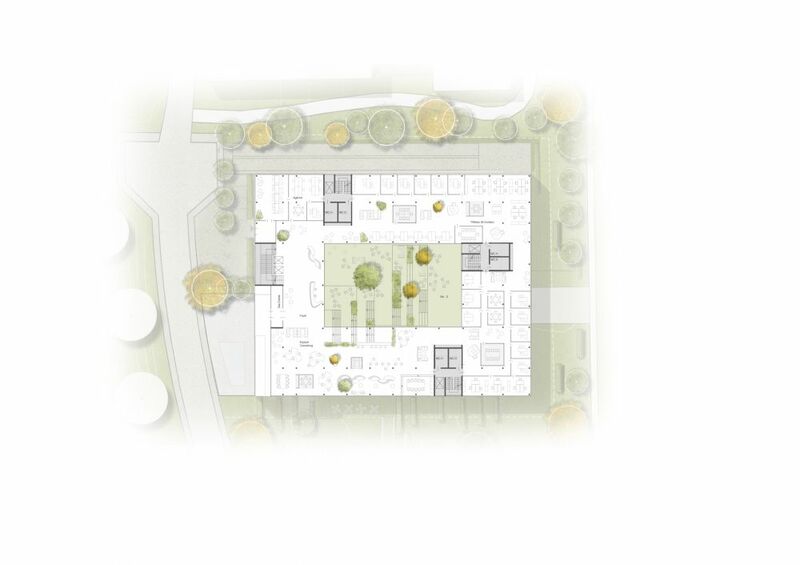 The façades face outward self-confidentially, while the inner courtyard forms the heart of the building and the central access point for all users. 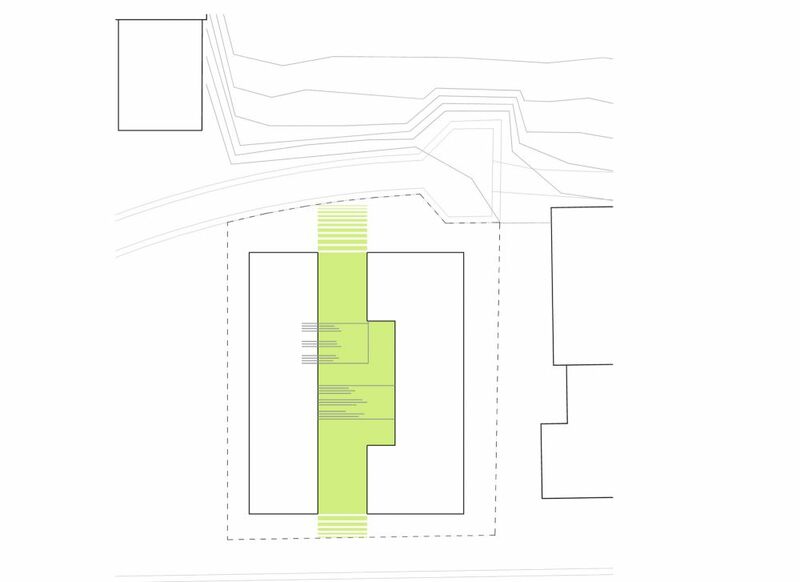 The courtyard accesses all the functions or uses in the building, which is either directly connected or linked to it through visual and pedestrian connectivity. 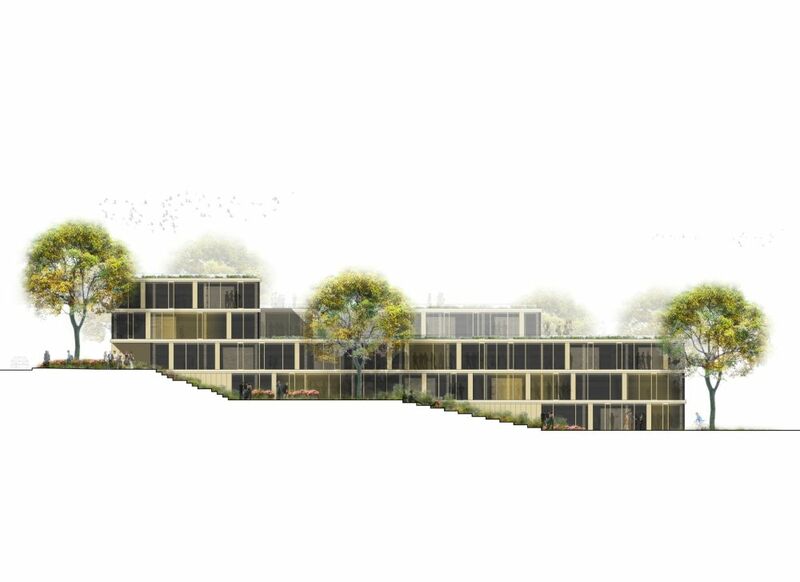 The terraced structure of the building conveys harmonious integration into the terrain between the sloping ground level of the 'Rue de Chateau d'eau' and the 'Rue de Luxembourg' (7.0 metres). 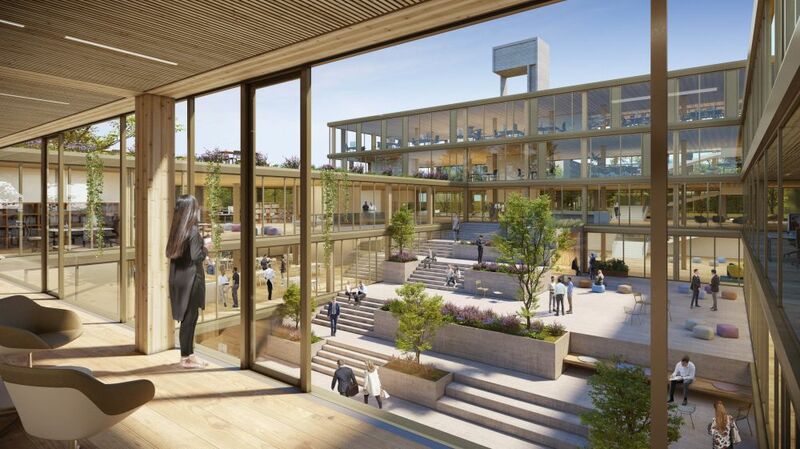 In addition, optimal use of the available construction area taking advantage of natural lighting / sunlight and natural ventilation is thus possible and the cascading structures allow expansive views of the surrounding landscape from all floors. 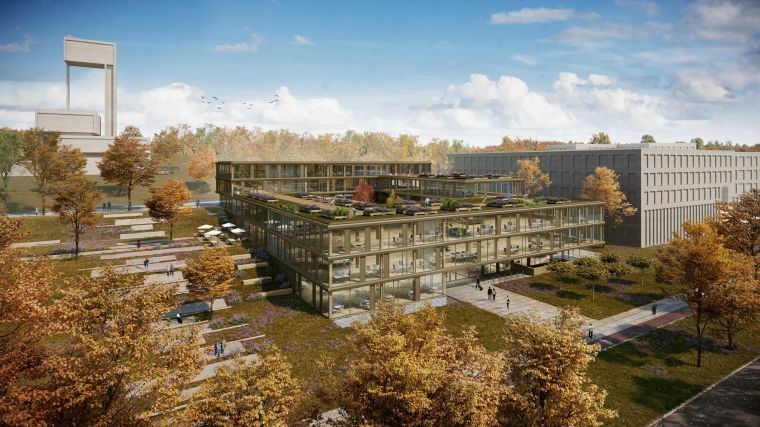 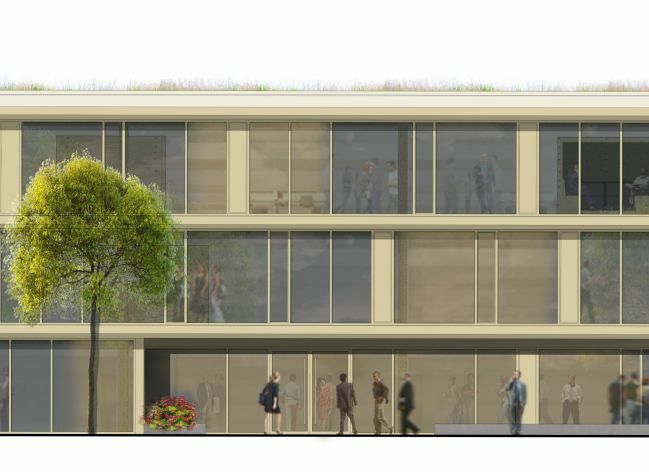 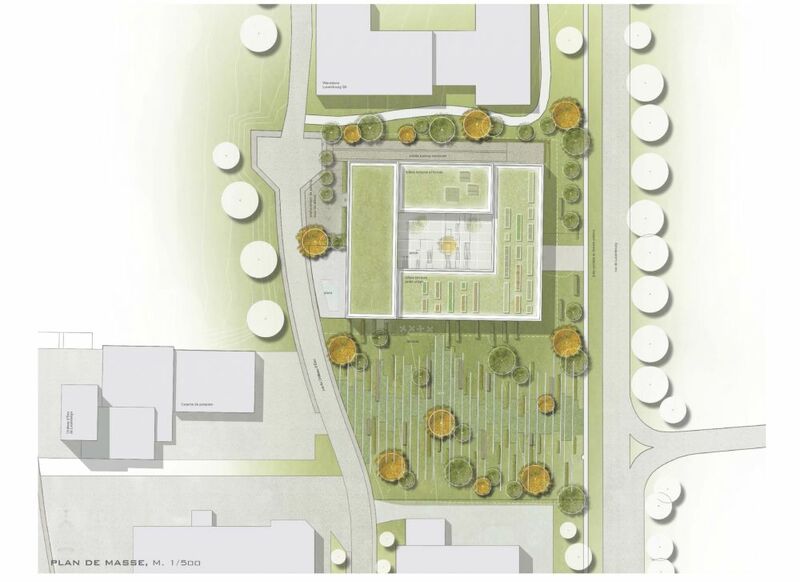 The landscaped courtyard with high amenity value can be used as an extended work area or break-time meeting point, while green roofs could be used for urban gardening or as roof terraces, which offer a high recreational value factor. The adjacent park is seen as an extension of this outdoor area. 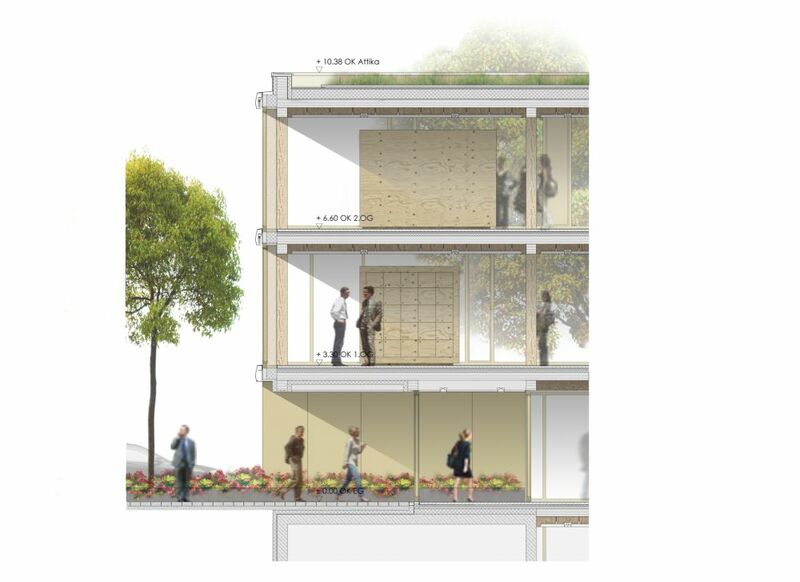 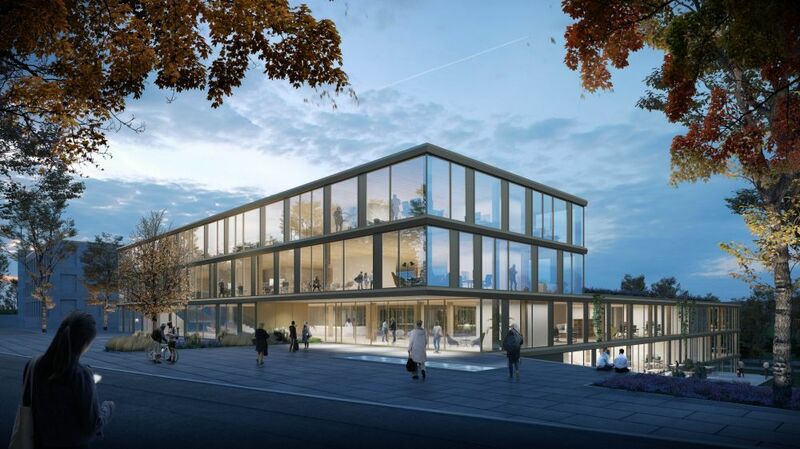 The wood hybrid construction, which has been coordinated for use requirements, as well as optimised building depths, leave room for diverse uses and flexible office or work structures.